Group Sewing Lessons NOW BOOKING! Custom Fabric – Buy Today! NOW BOOKING! Group and private SEWING LESSONS. Register today! I want to learn to sew, where do I start? This post is to focus on specific sewing machine information – which one to buy. This is ENTIRELY UP TO YOU! You have to make a decision on what features mentioned in the post about sewing machine types and features: Sewing Machine Suggestions. Do not buy bottom of the line! I do not recommend that an individual walk into any store (or online) and purchase the cheapest sewing machine available on the market. I do not, however, think that the typical beginner sewer needs an expensive machine. This is especially true if your beginner sewer is a child. I am not afraid to shop big box when my budget does not allow for the top of the line machinery. These are only suggestions. You are welcome to select your own machines. I offer them to those who simply want to purchase something that they know will work. I personally own this machine – Brother SQ9185. I love it overall and I would probably purchase it again if it were to break tomorrow. If you watch the prices online, you can often find it cheaper than in your local brick and mortar stores. Be sure to shop around, but the place most frequently seen is at Walmart. The Brother SQ9185 is not a 100% basic machine. The machine has many nice features and it comes with plenty of accessory feet in the box. It also comes with an extension table included in the price of the machine. This is a good solid machine for the price point. It is a computerized or electronic machine. It does have some dials to adjust the thread tension and some levers to make basic features work, but primarily, the control of the machine is done via buttons with information being displayed on the little LCD screen. There is a similar machine – Brother SQ9285. If I had to choose between the Brother SQ9185 or the Brother SQ9285, I would select the Brother SQ9185. This does not mean that if the Brother SQ9285 was my only viable option that I would not select it. I would. Availability would dictate my purchase choice between these two model numbers. These are not make or break items for me. I do not currently use all 130 stitches available on the Brother SQ9185. The speed of the machine, however, is the thing that would drive me to purchase one over the other if both were available. The Brother SQ9185 has a higher stitches per minute. For a beginner sewer, this will be less of an issue. For more experienced sewers, the speed of the machine can become frustrating from time to time. There are other small differences, but the typical beginner is not going to focus on these. What comes the box does vary between them. Focus on what you need when deciding on which model to purchase. A popular sewing machine – Brother CS6000i. I confess that I have not personally used this machine. I do know several people that do have this machine. It is a great starter machine. It is over the $100 price point, but I think it is a fair price for what you are getting. This machine does have multiple buttonhole stitches for making clothing. I personally like the Brother Buttonhole Foot. I think it is easy to use once your learn how to set it up on the machine. The starter, ultimate sewing machines – Brother The Dream Machine. This machine is way outside of my own personal budget. I have physically used this machine and it is pretty amazing if I do say so myself. It is, however, going to be outside most beginner’s budgets. I feel that it is only fair that I present the full spectrum of possibilities to you. It is your responsibility to choose the best fit for you. This machine essentially does it all. It might even make coffee or cook dinner for you. Okay, not really. It does have enough features to make it a dream come true for the aspiring and well skilled seamstress and sewer. Clothing is not the only thing that you can do on this machine, nor will it be the only thing that you will want to do. There are multiple model numbers on this machine – Brother The Dream Machine. Please be sure to check them all out before making a decision. For the best selection of these higher end machines, visit your local Brother Sewing Machine Dealer. This sewing machine is also an embroidery capable machine. If this is something that you feel you will need or want in the future, it might be something you look further at. My emphasis will not be on embroidery machines. While I do think that they have their place and use case, I think that many are on the pricier end. For the experienced sewer, this is fine. For the beginner, it is more than is necessary. One benefit to this machine is that it does have more bells and whistles in general. It has a higher stitch per minute rate than any of the previously mentioned machines. It does have an automatic needle threader and automatic thread cutters. Want an introductory mechanical sewing machine? A good mechanical machine – Singer Heavy Duty 4423. This mechanical machine has a nice price point for being considered a heavy duty machine. Keep in mind that sewing machines today are still no longer made like machines were 30+ years ago. Even the heavy duty machines are going to be less equipped to perform those heavier duty tasks. 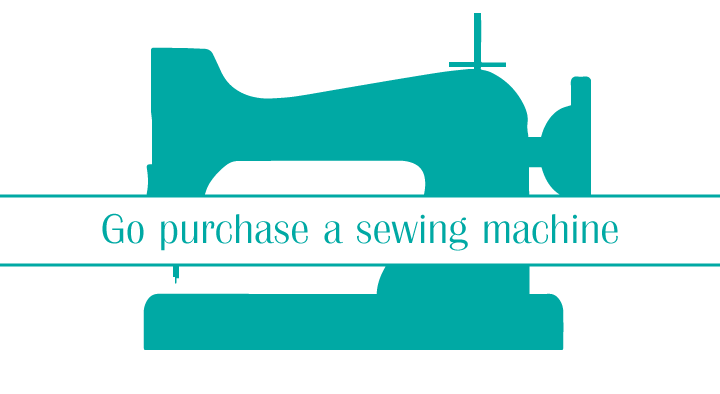 Consider what you will be sewing before making a decision on even these mechanical machines. Like most mechanical machines, this one is limited on features. It only has 23 stitches to select from unlike 60 stitches for the lower end model listed above. If what you are sewing only calls for these limited amounts of stitches, then this is a viable option. It is one that should be considered if you are likely to sew heavier fabrics. Stitches per minute on this little introductory priced machine is quite impressive. It is not as fast as a more industrial machine, but it will not leave a beginner sewer wanting for more speed. It is capable of stitching at speeds marginally higher than the much higher priced Brother The Dream Machine mentioned above. If speed is a factor, then consider this model. Mechanical machine with room to spare – Juki HZL-29Z. Many complaints about lower price point machines is the work area, this Juki might fit the bill when it comes to addressing this issue. It is a mechanical machine so would be ideal for a heavier duty work load, but it offers a simple and frequently requested feature of simply having more work space to the right of the needle. Often, mechanical machines suffer the same fate – weight and lots of it. This little Juki machine packs a punch with power and features, but maintains portability with is feather weight features. This is impressive as it is constructed of all metal working parts. Limited on stitch selection, you are not going to be doing decorative edgings. It is important to know what you will need before purchasing. With the increased working space, however, your next tote bag might be a little easier to rotate under the needle. New kid on the block, but impressive – EverSewn Sparrow 30. I am excited about this machine. I have yet to see one in person but the reviews of this machine are trending to be more good than bad. That is impressive with the limited number of sewing machine manufactures we really have to choose from. This average priced machine, offers something for the newbie and the more advanced sewers. It is definitely one that would offer longevity for someone just starting out. Packed with 310 stitches to choose from, there are lots of possibilities. While it is impressively priced offering a fully automatic thread cutter, it falls short of expectations with the typical lower end needle threader. It includes a variety of worthwhile accessories in the box. I look forward to seeing more about this machine in the future. Now that I have provided a small amount of guidance, it is time to go shopping. I would hope that you would further research some options available to you so that you can best find the machine that will fill your needs. Most disappointment with a sewing machine comes from expecting the machine to do more than it was designed to do. If you want to sew leather, you need an industrial machine. None of these are viable options in my opinion. However, if you are going to do basic mending all of them are more than adequate. Know what you need and/or want. Then go shopping. What other sewing machines do you own or are you looking at for purchase? What do you intend to use them for? Follow Stacey Sansom Designs on Facebook or Twitter for the latest updates and blog post releases. Follow Stacey Sansom Designs on Instagram for behind the scenes sneak peeks of current projects, sales, and new product releases. Sign up for the Stacey Sansom Designs newsletter at the bottom of the screen. Your information will not be sold in any way. You will only receive an email every 1-3 months. These email newsletters will contain a discount code only available to newsletter subscribers. Stay up today with the latest and get exclusive savings!